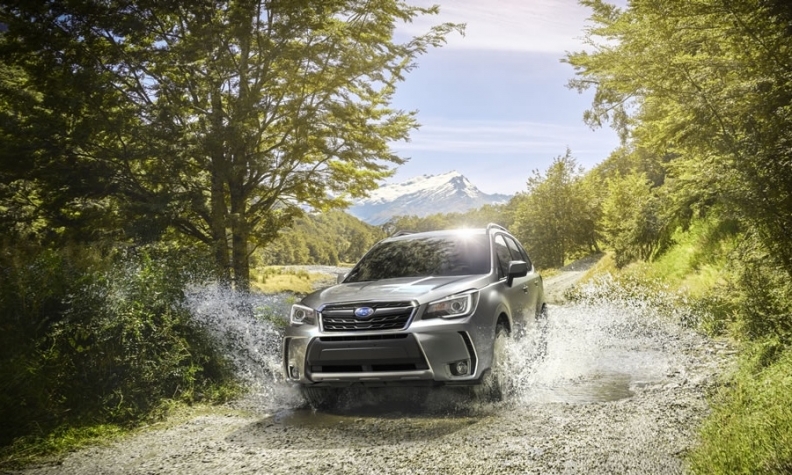 The 2018 Subaru Forester will start at $25,995, before taxes and fees, and should be in Canadian showrooms any day now, the automaker said June 7. Subaru didn’t say how much the destination fee is on the Forester. After being named the 2017 Automobile Journalists Association of Canada (AJAC) Utility Vehicle of the Year, the updated 2018 Forester adds some enhanced safety elements. Improved child seat anchors and updated seatbelt reminder warnings are standard on all models while all 2.0XT models are now equipped with a windshield wiper de-icer and the option of including the advanced driver-assist system, which uses two cameras to monitor activity in the road ahead. Subaru’s seven-inch infotainment system with navigation on the Limited models sees the addition of new Starlink apps, including Yelp, Best Parking and Glympse. The base model 2.5i with a six-speed manual transmission starts at $25,995 while the 2.0XT Limited with optional EyeSight Package with automatic transmissions starts at $39,495. There are eight other trim levels and 10 other price points in between, depending on transmission type.